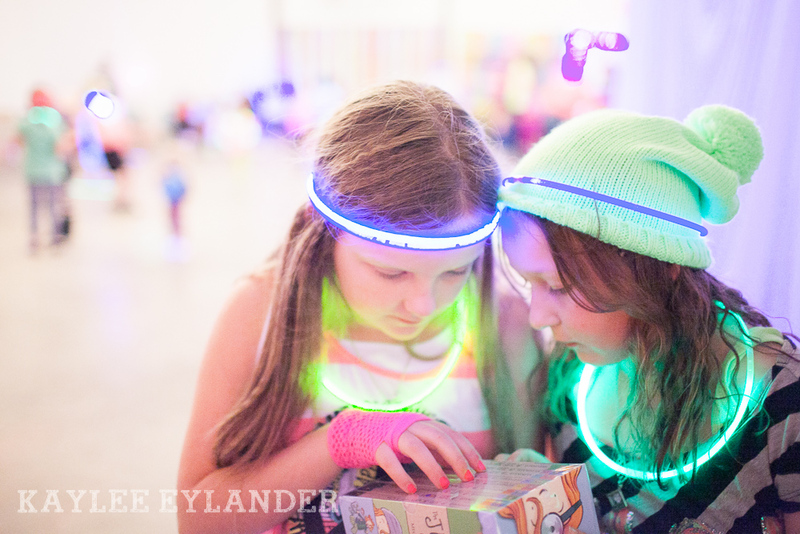 There is something so special about having a daughter that is just so similar to myself. 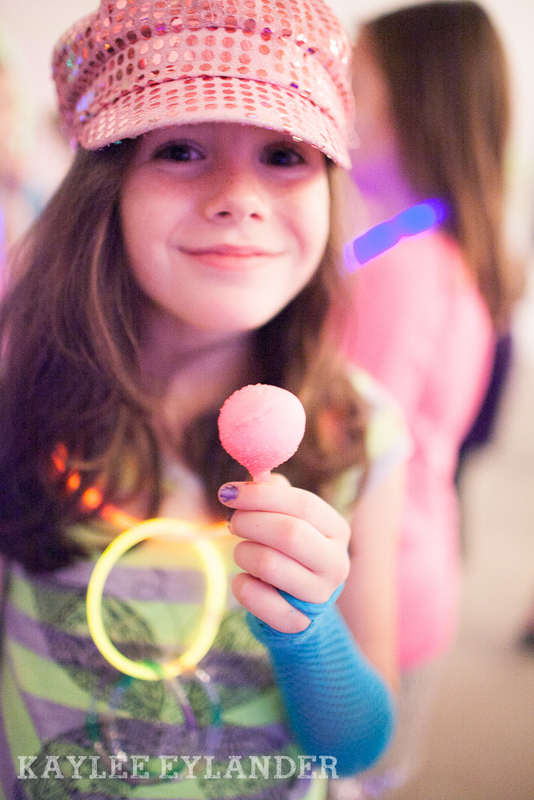 She loves sparkle, glitter, and the eighties. 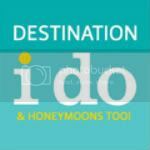 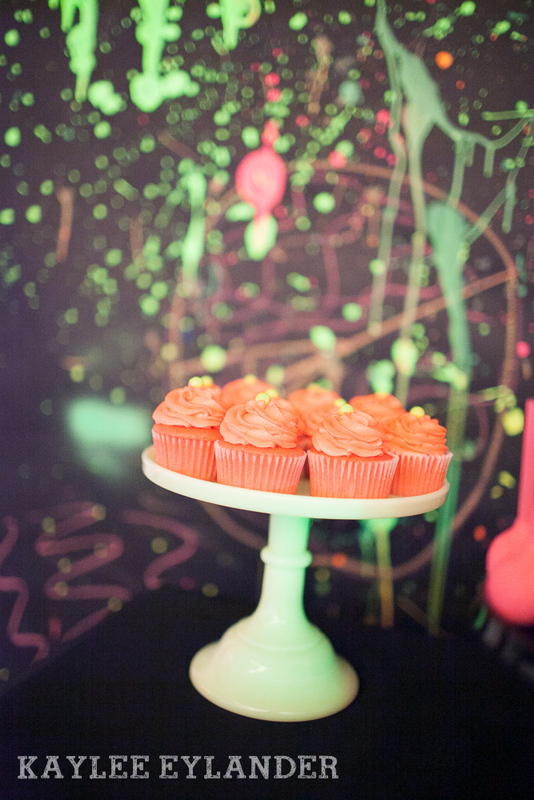 Yes….a decade that she has a love for…and wanted her birthday party all about it. 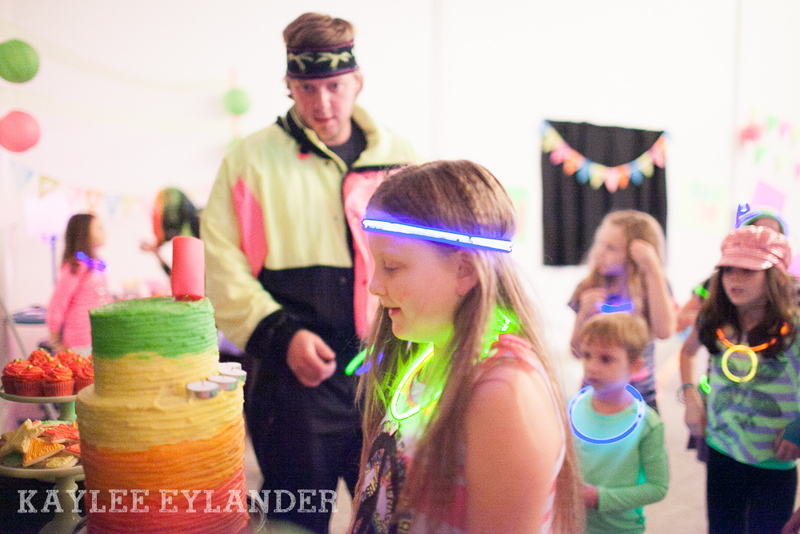 We had so much fun planning and putting it together…we jammed to Pump up the Jam and Everybody Dance Now as we hung neon lanterns and black lights. 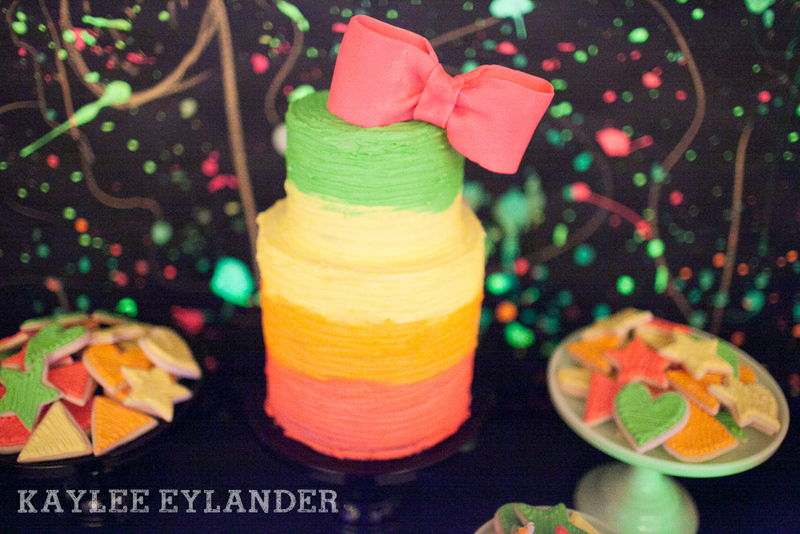 I loved that the day was born out of a cake plate. 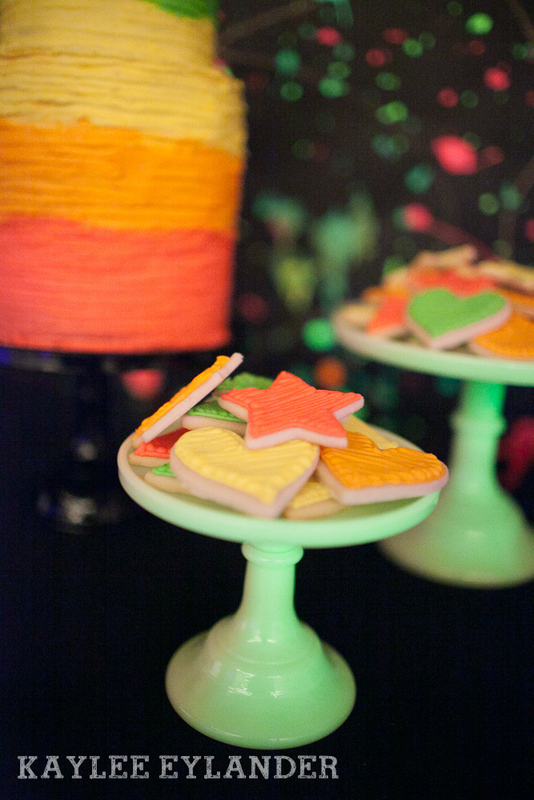 A yellow neon cake plate. 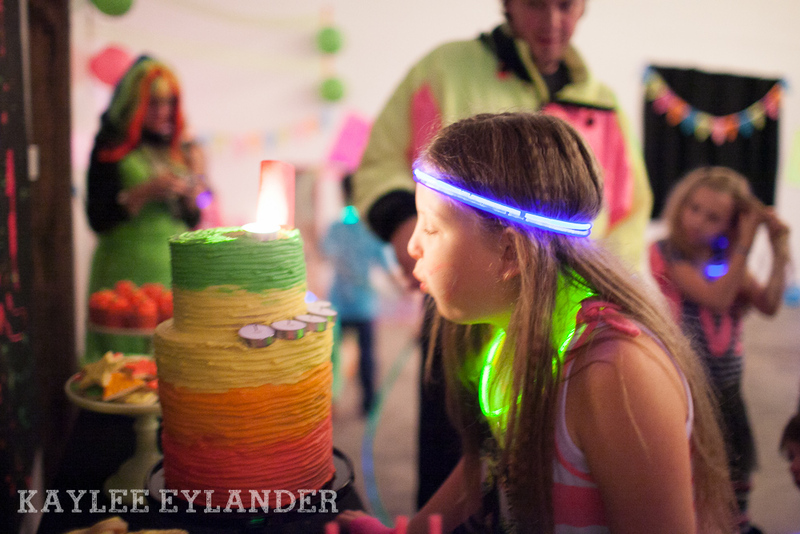 When Jenny and I doing a photoshoot with her lovely cake plates, she pulled out a set of neon yellow amazing cake plates…Estelle freaked out and instantly knew what she wanted to do for her birthday party…4 months away! 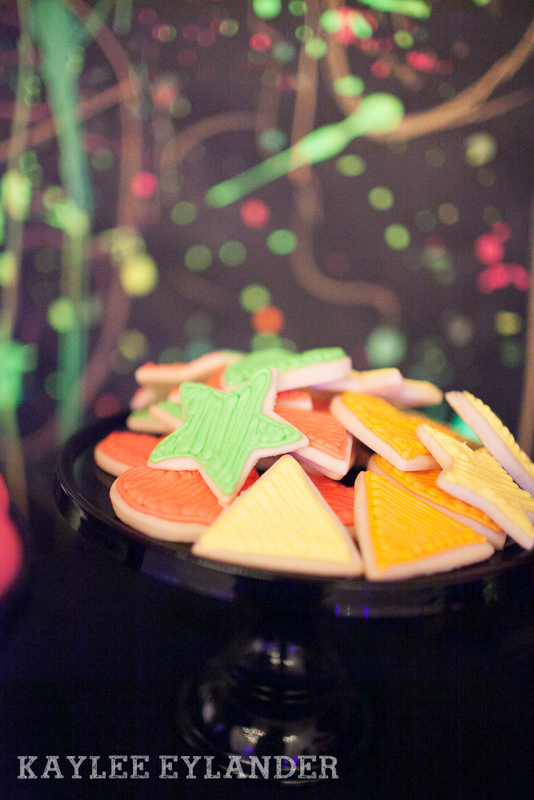 I also loved that I didn’t even chat with Jenny, owner of Jenny Cookies (and creative genius! 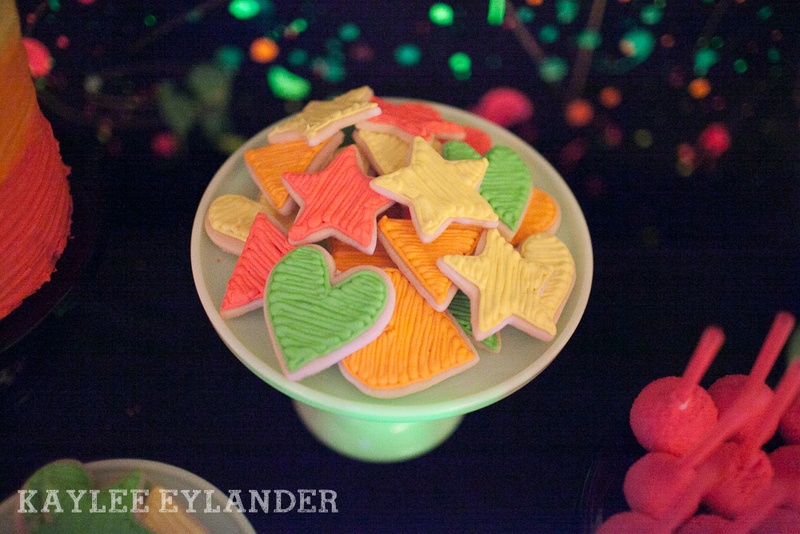 ), about what she was going to make for the party…and she showed up with the most amazing neon deserts, Estelle jumped for joy!! 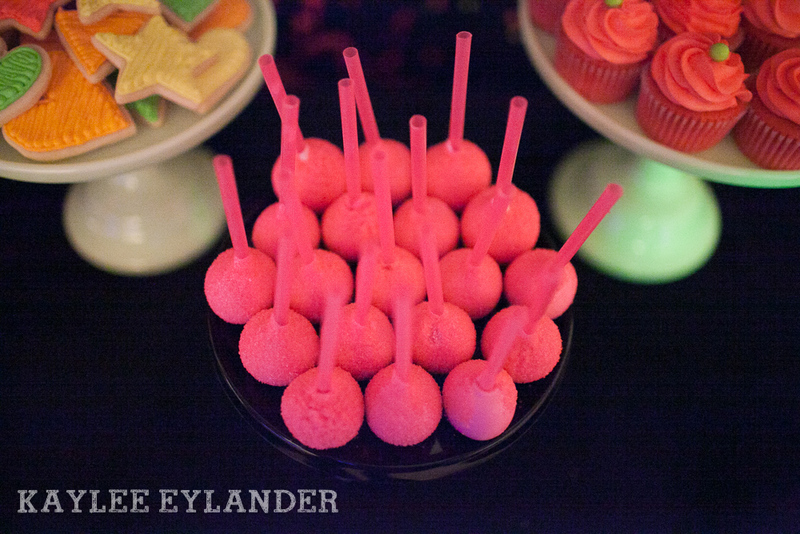 If you are having a party, if you don’t know by now…this girl can rock out a dessert table! 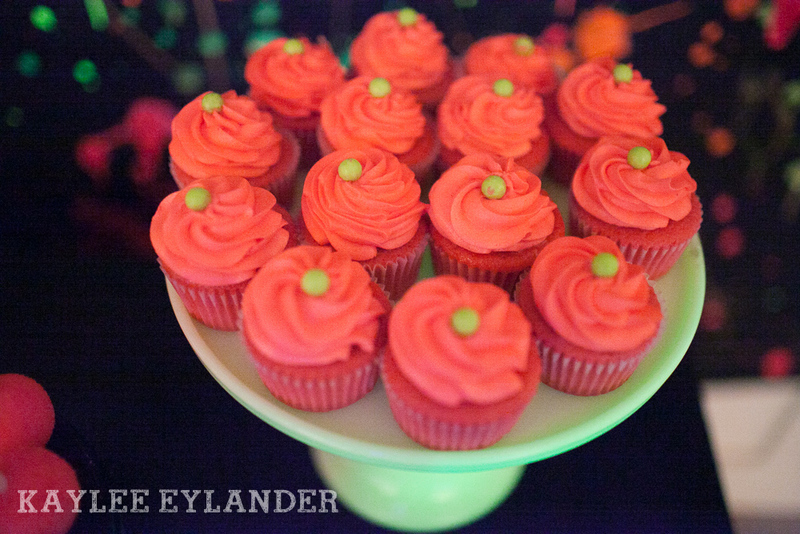 Even if you aren’t exactly sure what you want…give her a few adjectives…and she can’t help but get her wheels turning. 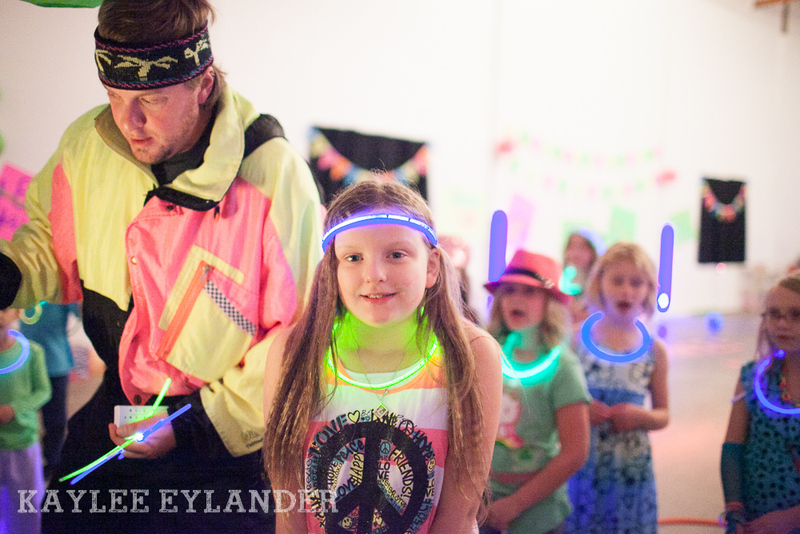 I’m not quite sure how she does it, but she managed to hit it right on the head with 2 words…80′s Neon. 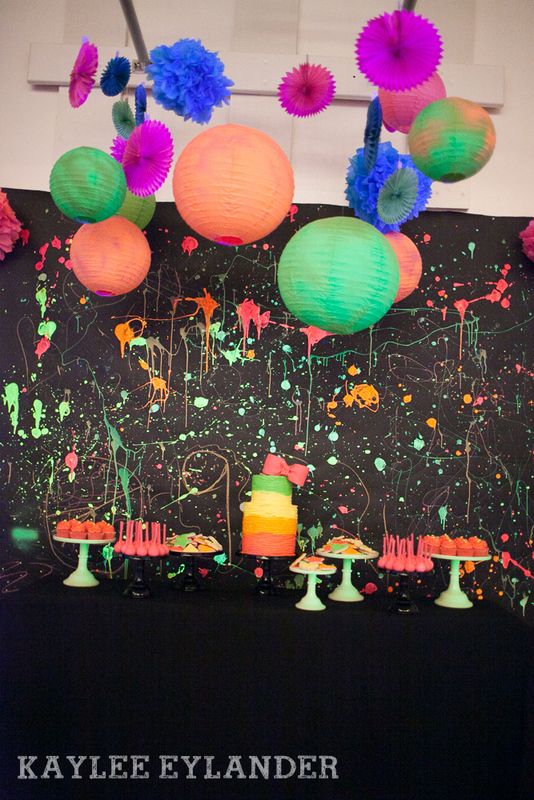 We made a splatter painted back drop out of photography back ground paper and just splatter painted it with all kinds of black light reactive paint…I’m not sure if the kids or myself ha d more fun doing this! 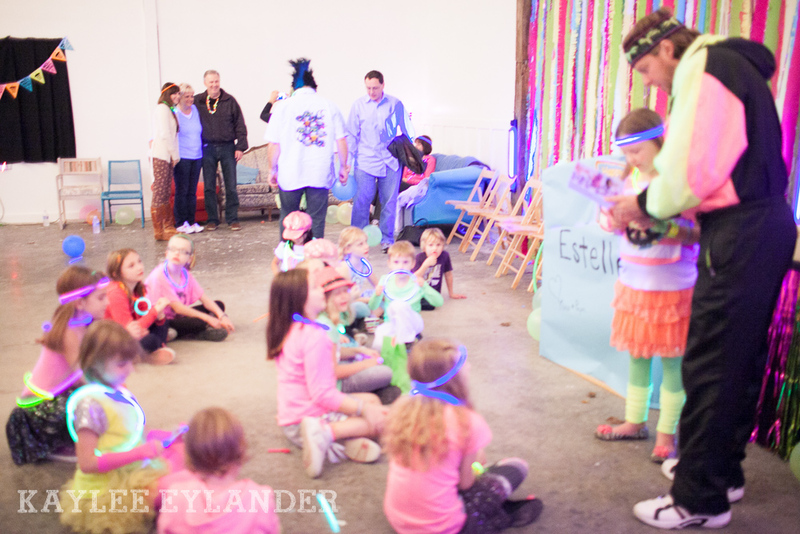 We had our dance party in our Gym at Kaylee Eylander Photography in Lake Stevens…and we just had so much fun decorating it! 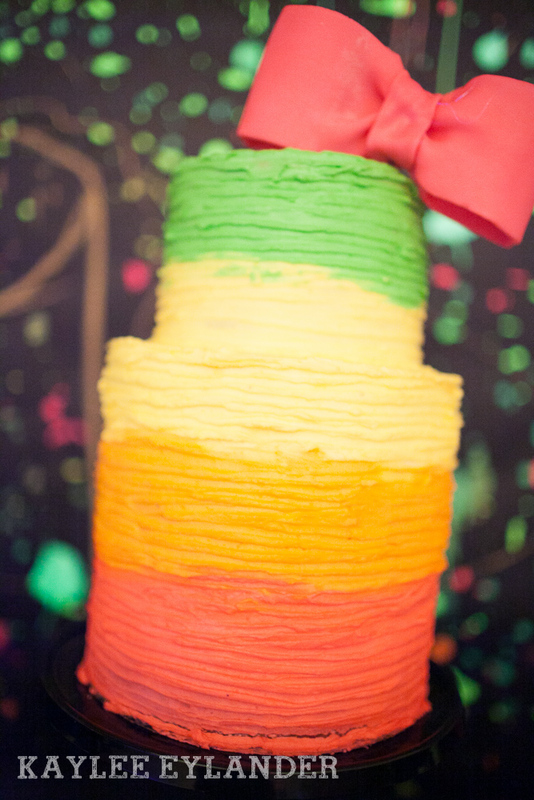 I died when I saw this amazing cake! 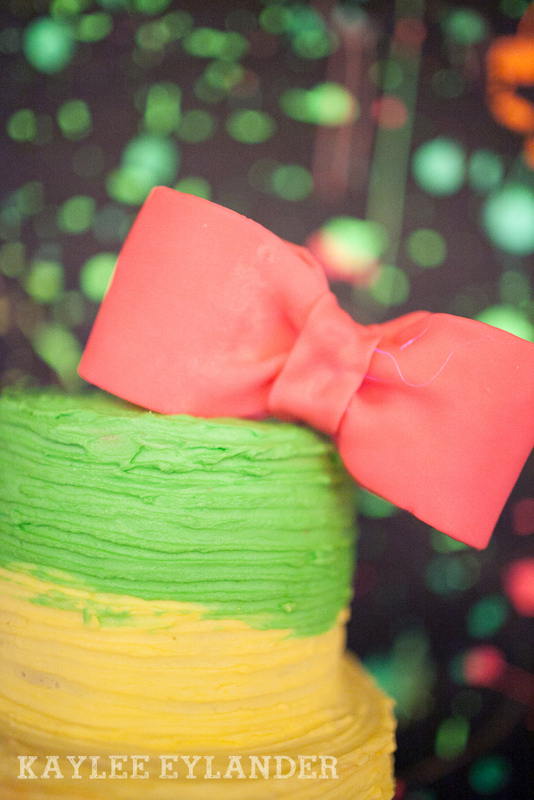 What more could a girl want then a huge hot pink bow on the top of her birthday cake! 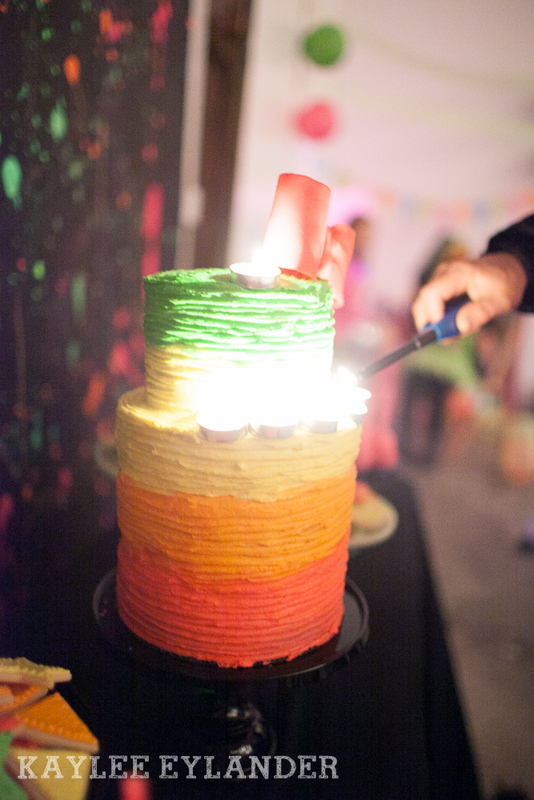 We love having photobooths at our bday parties…just one of the benefits of having a photographer for a mom, I guess! 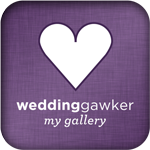 Birthday Invites: Sweettweetstudio.com (This girl rocked out custom invites for me in a flash! I loved them so much that I cried when I saw them! 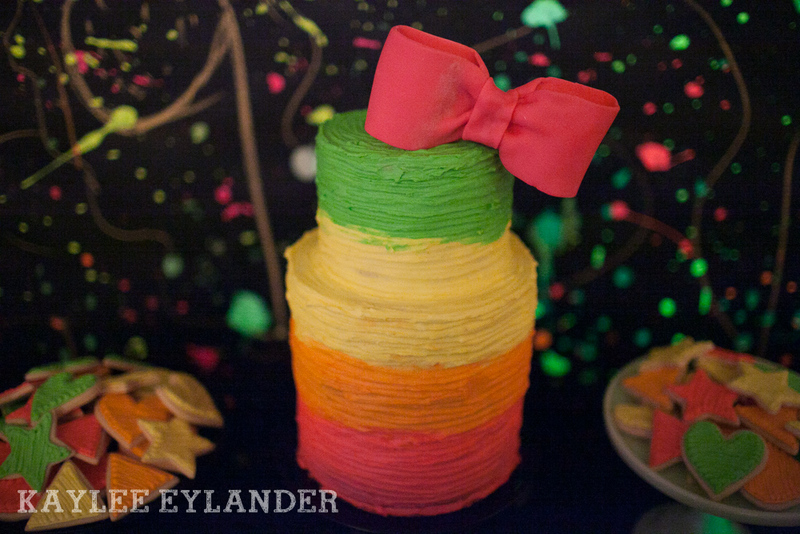 Estelle’s Neon Birthday from Kaylee Eylander on Vimeo.